The Executive Committee is composed of 3-5 students who are selected early in 1st year. Executive Committee Fellows (ECFs) receive training in peer coaching and facilitation, and serve as student leaders of the program. ECFs also serve as a visiting board member with one of our partner organizations. Students selected as ECFs must have prior experience with nonprofit boards or extensive experience in the nonprofit sector. Using their prior board and sector experience as a springboard, Executive Committee Fellows (ECFs) engage in a 20-month peer leadership role in which they work closely with a group of fellows to support their individual development. build and steward board fellow community and culture. Each ECF also acts as chair of one of the four program subcommittees (fellow selection, training, nonprofit partnerships, and community-building) with the aim of leading the improvement of the program year-to-year. Teresa grew up outside of Los Angeles, CA. 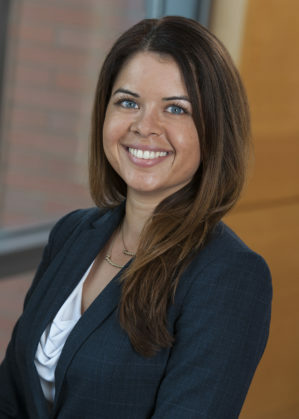 Teresa holds her Bachelor of Science from Wharton, where she majored in Finance, Management, and Legal Studies Business Ethics with a minor in Mathematics. 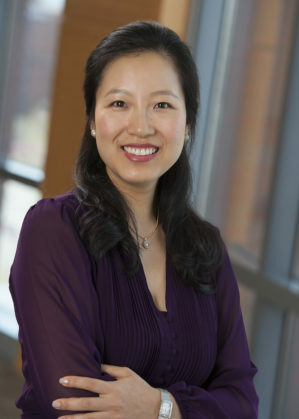 During her undergraduate years, Teresa held various executive positions with Wharton Women, the largest paid-member undergraduate student organization at the University of Pennsylvania that facilitates the personal and career development of females in business. Teresa was also a competitive Taekwondo athlete. 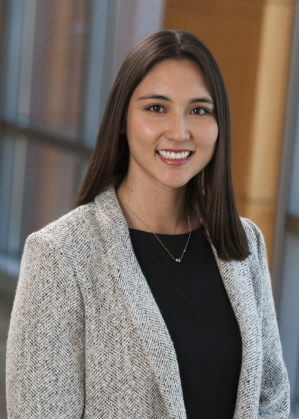 Before returning to Wharton for her MBA, Teresa worked as an investment banking analyst at Barclays in New York and as a long/short equity investment analyst at Select Equity Group in New York. During her time in New York, Teresa served on the junior board of Blue Engine, an education non-profit that aims to improve classroom learning by reducing the student to teacher ratio in high schools around New York City. Teresa also served on the board of the Select Equity Group Foundation which allocated grants to support nonprofits that work toward improving the quality of life for the broader New York City community. The Non-profit Board Fellows program and the Executive Committee at Wharton has allowed Teresa to continue to serve the local community in which she resides alongside a group of like-minded peers who share similar passions. Tulsi grew up in southern California and earned her Bachelor of Arts in Economics from UCLA. While at UCLA, Tulsi began volunteering with Westside Pregnancy Clinic. WPC is committed to providing women in crisis pregnancy situations with support during pregnancy and the early stages of their child’s life. Tulsi loved working with the women and children at WPC and sought out a similar organization when she moved to Philadelphia from Los Angeles in 2012. Tulsi was on the board of AlphaCare from 2012 to 2017 and served as treasurer for part of her tenure. At Wharton, the Non-profit Board Fellows program and the Executive Committee give Tulsi an opportunity to continue to serve and learn about the greater Philadelphia community alongside her classmates. Before returning to school, Tulsi served investment management clients at Deloitte and taught Financial Statement Analysis to undergraduates at University of California, Santa Barbara. Aisha, having grown up in Hawaii’s rich multi-ethnic culture, has started on a journey to better understand and bridge East and West with a spirit of Aloha. Aisha holds a Bachelor of Arts from Harvard in East Asian Studies with an emphasis on Mandarin Chinese and a secondary concentration in Social Anthropology, understanding the intersection of people and cultures. While at Harvard, Aisha was a four-year dual-sport varsity athlete playing water polo and soccer. At Wharton, Aisha is also pursuing a MA in International Studies from the Lauder Institute. In Honolulu, Aisha supported local nonprofits, including Duke Kahanamoku Outrigger Foundation, Lawakua Charitable Fund, and Special Olympics Hawaii, in various roles including board member, volunteer, and grant writer. The Executive Committee Fellowships allows Aisha to extend her passion for supporting local communities to Philadelphia. Nonprofits provide a strong foundation for communities, capture the diversity and heart of the people, and play an essential role in supporting underprivileged demographics. Prior to Wharton, Aisha was in management consulting at PricewaterhouseCoopers in Los Angeles and start-up consulting firm in Hawaii. Outside of nonprofit service and consulting work, Aisha continued to learn more about the Asia Pacific. She started an aloha shirt business leveraging Chinese manufacturers and was a fellow at an Asia-Pacific diplomacy think tank, Pacific Forum CSIS. Executive Committee members (ECFs) engage in one of the longest-running student commitments at Wharton, and the intensity of the role fluctuates over the course of the 20 months. The most time consuming period comes during the new fellow selection process in spring of the 1st year. Similar to many nonprofit boards, the program utilizes subcommittees to ensure that we improve the experience for fellows and partner organizations year to year. All subcommittees are composed of board fellows. Brandywine Global Investment Management, LLC.